Make sure you have a contract and get receipts when undertaking a home renovation project. If you’re taking in this year’s Winnipeg Home and Garden Show, on now at the RBC Convention Centre, there’s a good chance you are considering a home renovation project this spring or summer. Many homeowners are starting to plan their summer projects, outlining project needs and setting a budget. But one thing to keep in mind when researching is that when a deal sounds too good to be true, it usually is. There are some key points to remember when getting a "really great deal" on home renovations, especially on "cash deals" where the person doing the work is paid "under the table." These deals usually mean no taxes are paid and no permits are taken out. Having no receipt and no contract also means there is no record of the work being done. If your contractor cuts a few corners and uses substandard materials, you have no recourse because there was no formal agreement. If the workmanship is shoddy or the renovation causes damage to your home, there is no formal record of the work ever taking place. If you encounter problems a month or two down the line, don’t bother calling the person who originally did the work. Technically, they were never there. And rectifying a poor job can cost you more than having the job done right in the first place. Not taking out the proper permits can also lead to issues further down the road, especially if you look at selling your home. Work done on undeveloped areas of your home, usually the basement, require permits if there is any structural, electrical or plumbing work done. 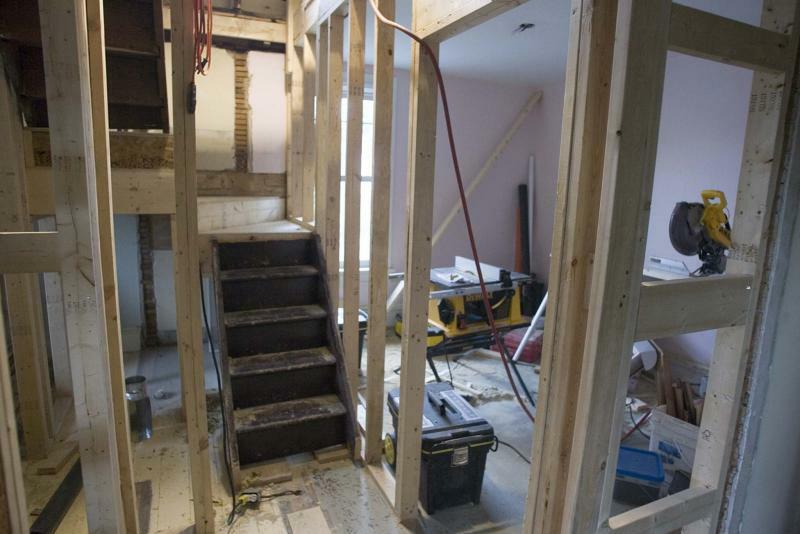 The City of Winnipeg requires permits for any type of renovation work being done to an unfinished area of an existing home. If you have work done to finish a basement or attic without the proper permits and look to sell your home in the future, it could lead to issues in terms of finalizing a sale or put the new homebuyer in a position of applying for permits on work already done and paying the added cost of rectifying any issues if the work was not done properly. Legitimate contractors take out all necessary permits and ensure a licensed tradesperson does the necessary work. Using a legitimate contractor who ensures the work is done properly and is properly permitted, combined with a written contract, is your best insurance as a consumer. It is in your own best interest to protect yourself when it comes to renovations. When you hire a contractor, get a signed contract with the GST/HST number on it, a detailed warranty and a receipt for all amounts paid. Also make sure your contractor has liability insurance and workers’ compensation coverage for all workers at your home. Don’t assume your home insurance will cover the cost if something goes wrong. Imagine you had a roofing company working on your home and someone fell and was injured. Without workers’ compensation coverage and a clear contract, you could be held responsible, possibly be sued and your home insurance might not cover you. If a worker accidentally caused a fire or a leak in the roof that resulted in water damage, you might be paying out of pocket to fix the damage if your contractor doesn’t have liability insurance. Make sure you get it all in writing by having a contract and getting receipts — make sure you protect yourself from future issues by taking the right precautions now. When a cash deal is "too good to pass up" on a renovation, be aware that it could end up costing you much more down the road. Lanny McInnes is president of the Manitoba Home Builders’ Association.